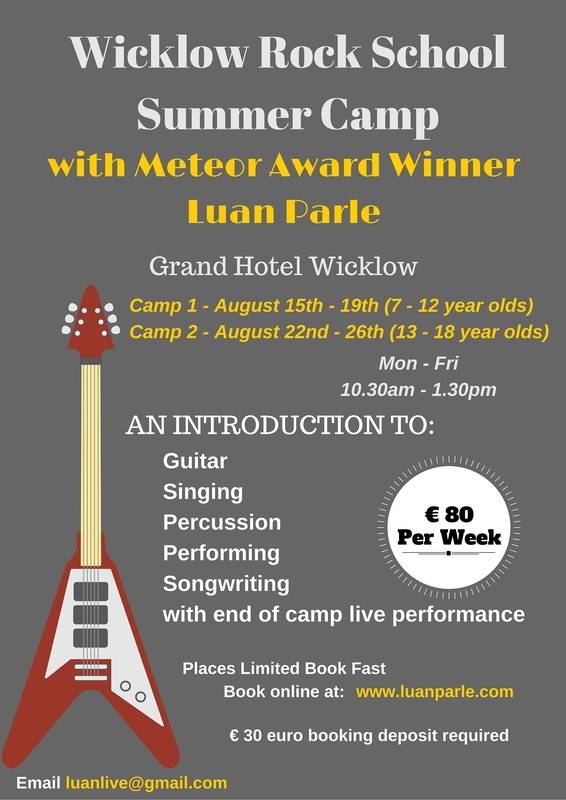 I’m delighted to announce that I will be holding a Rock School Summer Camp at The Grand Hotel in Wicklow Town this August. Guitar, Singing, Performing, Percussion, Songwriting, with end of camp live performance. Booking is essential as places are limited. Book fast to avoid disappointment.